DESCRIPTION: This is a monthly computer report of all district financial transactions providing detailed information on all individual postings to the general ledger. It is used for audit purposes. It includes date, item description, transaction type, posting date, purchase order or receipt number, check number, encumbrance, debit or credit, account balance, and vendor. In November 1990, the creation of a paper printout was discontinued and the report is being received on computer output microfilm. Paper: Retain in Office for 10 years and then destroy. Computer output microfiche master: Retain in State Records Center for 10 years and then destroy. Computer output microfiche duplicate: Retain in Office for 10 years and then destroy. This disposition is based on the needs expressed by the office and previously approved in the School District's General Records Retention Schedule (1986). DESCRIPTION: This annual computer report is created by the Accounting Department to provide detail on all district financial transactions that are not summarized in the monthly transaction journals. The report lists receipts, expenditures, outstanding encumbrances, and remaining budget. This report includes journal number, date, reference number, account numbers, transaction amount, running account balance date by date, vendor or employee number. Prior to 1984, this report was a handwritten account of all district financial transactions. In 1991, the report was placed on computer output microfiche and the paper copy was discontinued. Paper: For records beginning in 1906 through 1991. Retain in Office for 15 years and then destroy. Computer output microfiche master: Retain in State Records Center for 15 years and then destroy. Computer output microfiche duplicate: Retain in Office for 15 years and then destroy. This disposition is based on the administrative needs expressed by the Accounting Director. DESCRIPTION: This computer report is created by the Accounts Payable Department to track the payment histories of vendors after the information is down loaded from the main frame computer system. The report includes the vendor name, vendor number, invoice number, check number, check date, and check amount. Paper: Retain in Office for 5 years and then destroy. Computer output microfiche master: Retain in State Records Center for 5 years and then destroy. Computer output microfiche duplicate: Retain in Office for 5 years and then destroy. This disposition is based on the administrative needs expressed by the district's Accounting Director. DESCRIPTION: This quarterly computer report is created by the payroll department to meet federal and state wage reporting laws and to balance quarterly and annual wage reporting reports for the state and federal government. This report includes social security number, name, federal and state withholding amounts and respective taxable wage base amounts. In 1991, the report was also placed on computer output microfiche. Computer output microfiche master: Retain in State Records Center for 4 years and then destroy. Computer output microfiche duplicate: Retain in Office for 4 years and then destroy. This disposition is based on the fiscal needs expressed by the district's accounting director. DESCRIPTION: This is a monthly computer report created as part of the payroll process. It is used to correct payroll accounting errors and to record journal entry corrections. The report includes the employee account number distributions, employee name, social security number, and amounts. In 1991, the report was placed on computer output microfiche and the paper copy was discontinued. Paper: For records beginning in 1986 through 1991. Retain in Office for 3 years and then destroy. Computer output microfiche master: Retain in State Records Center for 3 years and then destroy. Computer output microfiche duplicate: Retain in Office for 3 years and then destroy. This disposition is based on the administrative and fiscal needs expressed by the business official. The report has no value after it has been audited. DESCRIPTION: This computer report is created by Payroll for use as a quick reference of calendar and fiscal year to date earnings by individual and for the District. The report includes Social Security number, name, wages earned in each quarter, calendar and year to date totals. In 1991, the report was also placed on computer output microfiche. Paper: Retain in Office until superseded and then destroy. Computer output microfiche master: Retain in State Records Center until superseded and then destroy. Computer output microfiche duplicate: Retain in Office until superseded and then destroy. This disposition is based on the fiscal needs expressed by the district's Accounting Director. This report has no value after it has been audited. DESCRIPTION: This computer report is created semi-annually by the Data Processing Department at the end of the calendar and fiscal years. It is used to confirm W-2 deductions and provides a detail listing of the fiscal year-to-date earnings. The report includes name, social security number, earnings by job code for fiscal and calendar year with summary totals for fiscal and calendar year. In 1991, the report placed on computer output microfiche. Paper: Retain in Office for 53 years and then destroy. Computer output microfiche master: Retain in State Records Center for 53 years and then destroy. Computer output microfiche duplicate: Retain in Office for 53 years and then destroy. This retention is based on the administrative needs expressed by the district's business official. Since the district does not have a separate Employee Payroll History, this report has been determined to be their official record of employee payroll for retirement purposes. DESCRIPTION: This annual computer report is created by the Accounting Department to compare the financial transactions to goals, objectives, and performance requirements that relate specifically to an activity and course subdivision not satisfactorily described by the Function object report (series 4225). The report includes program name, accounting period, revenue and expenditure accounts with year to date account balance summaries that show the results of operations by programs by object code. In 1991, the report was placed on computer output microfilm and the paper report was discontinued. Paper: For records beginning in 1984 through 1991. Retain in Office for 10 years and then destroy. DESCRIPTION: This computer report is created by the the Accounting Department to show the costs of district operations by function. It is used as an evaluation tool. The report includes the function account number and name sorted by fund. The year-to-date summary account balances are compared to budget with encumbrances and remaining budget listed. In 1991, the report was placed on computer output microfiche. This disposition is based on the administrative needs expressed by the district's business official. It is used with the general ledger to provide clearer picture of the district's financial condition. DESCRIPTION: This annual computer report is created by the Accounting Department to show the financial position of the district for preparation of the annual financial reports. This report includes the balance sheet, name and account number of assets, liabilities, amounts sorted by fund, and beginning and ending balances. In 1991, the report was also placed on computer output microfiche. This disposition is based on the administrative needs expressed by the district's business official. DESCRIPTION: This annual computer report is created by the Accounting Department to show the results of operations by account for object code accounting. This report is used to evaluate financial operations by object code indicating the type of instruction or supplies. This report includes the object code name and account number sorted by fund, year-to-date summary account balances are compared to budget with encumbrances and remaining budget. In 1991, this report was also placed on computer output microfiche. Computer output microfiche master: Retain in State Records Center for 2 years and then destroy. Computer output microfiche duplicate: Retain in Office for 2 years and then destroy. DESCRIPTION: This annual computer report is created by the Accounting Department to show the results of operations of the maintenance and operation fund functions in order to prepare annual financial reports. The report includes the summarized data by object and is grouped by category. The report includes year-to-date summary account balances which are compared to budget with encumbrances and remaining budget listed. In 1991, the report was also placed on computer output microfilm. This disposition is based on the administrative needs expressed by the district's accounting director. It is used with the General ledger (Series 4183) to provide clearer picture of the district's financial condition. DESCRIPTION: This computer report is created by the Payroll Department as part of the monthly check run. It is used to verify attendance and detail payroll information. This report contains all information on a pay check including name, social security number, job code, pay code, calendar and fiscal year-to-date payment history, deductions, net check amount, and attendance. This disposition is based on the administrative and financial needs expressed by the business official. The record has no value after it has been audited. DESCRIPTION: This monthly computer report is created by the Accounting Department to balance the district's bank accounts. The bank reconciliation report has two sections: the outstanding check list and the monthly edit listing. The bank edit portion of the report serves as a record of the checks that have cleared during the month and lists reconciliation adjustments. The outstanding check list includes the check number, check type, check date, check amount, and vendor number or pay check social security number. The bank edit includes the checks that have cleared by check type, number, amount, and any reconciliation items. In 1991, the report was placed on computer output microfiche and the paper report was discontinued. Paper: For records beginning in 1984 through 1991. Retain in Office for 3 years and then destroy. This disposition is based on the administrative and fiscal needs expressed by the Accounting Director. The report has no value after it has been audited. DESCRIPTION: This annual computer report is produced by the payroll department when terminated district employees are purged from the district's computer system. It is used to research payments made to former employees and for verification purposes. The report includes the Social Security number, name of employee, marital status, exemptions, location code, check date, check number, gross pay, deductions (federal and state taxes, FICA, retirement, insurance, other), net amount amount, assignments paid, and regular hourly rate. This disposition is based on the administrative need expressed by the district business official. This report is the districts only payroll history and is therefore maintained longer than the traditional 7 years. It is essential for retirement purposes. DESCRIPTION: These are minutes of regular and special meetings of the Board of Education. They are used to document the actions and decisions of the Board. School board minutes record the adoption of annual budgets; the approval of expenditures; discussions of district policies. These minute books include the time and place of meeting, board members absent and present, summary of proceedings and decisions made by the board. DESCRIPTION: These cards are the official record of school attendance and high school graduation. They are used to document graduation from high school and to verify classes attended and credits earned. They are used for college admission and employment. They also include the transcripts for students who did not graduate, but attended high school classes in the district (ninth to twelfth grades). They contain: student's name, address, birthdate, parents' names, lists of high school classes and grades, date of graduation, test scores, class ranking, grade point average, and social security number. They are part of the Student Cumulative File until they are weeded after graduation . Computer data files: Retain in Office for 1 year after graduation from high school and then microfilm and delete provided microfilm has passed inspection. Computer output microfiche master: Retain in State Archives permanently with authority to weed. Computer output microfiche duplicate: Retain in Office permanently. Paper: Retain in Office for 40 years and then transfer to State Archives with authority to weed. These records document student attendance and graduation. DESCRIPTION: These files document students enrolled in the district's special education programs in accordance with the provisions of 34 CFR 300.560-300.577 (1998). They are required to receive federal and state special education funding. Services can be discontinued when student is reclassified as no longer needing special education services, the student moves, or refuses the services. They contain various reports and completed forms including individual education program records (IEPs), inspection logs, evaluation and re-evaluation forms, parental approval forms, test protocols, parent surveys, parent information, third party information, placement documents, refusal of services forms, and other legal documents required by federal regulations and state rules to verify a student's disability and need for special education services. Paper: Retain in Office for 1 year and then transfer to State Records Center provided student has graduated or services have ended. Retain in State Records Center for 26 years and then destroy. This disposition is based on the legal requirements specified in 34 CFR 300.562 (1998) and the recommendations of the State Office of Education. A student can receive special education services until the age of twenty-one. DESCRIPTION: These are the personnel files for all district educators (teachers and administrators). They are used to document employment. The files include the employment applications, authorizations for hire forms, placement records, employee history card, copies of school transcripts, pay and leave history, work performance, in-service training completion certificates and credits, evaluation records, teaching certificates, previous teaching experience, contracts, lane change requests, and related correspondence. May also include fingerprints and verification of the criminal background check. Paper: Retain in Office for 10 years after terminated and then transfer to State Records Center. Retain in State Records Center for 55 years and then destroy. Personnel files have long-term administrative and fiscal value. They may be destroyed according to the approved retention schedule. DESCRIPTION: These are the personnel files for all terminated classified district employees. They are used to document employment. The files usually contain the employment applications, authorization for hire forms, employee history card, pay and leave history, work performance and evaluation records, reassignment of personnel forms, termination forms and related correspondence. May also include fingerprint records and verification of a criminal background check. Paper: Retain in Office until termination and then transfer to State Records Center. Retain in State Records Center for 65 years and then destroy. 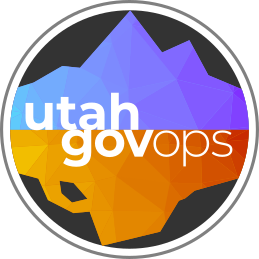 Retention is based on Utah Code 49-11-602(2019). The history of a person's employment must be retained beyond the time he or she could potentially claim retirement benefits based on employment. DESCRIPTION: These are the personnel files for all certified district employees. They are used to document employment. The files include the employment applications, authorizations for hire forms, placement records, employee history card, copies of school transcripts, pay and leave history, work performance, in-service training completion certificates and credits, evaluation records, teaching certificates, previous teaching experience, contracts, lane change requests, and related correspondence. May also include fingerprints and verification of the criminal background check. Paper: Retain in Office for 3 years after terminated and then transfer to State Records Center. Retain in State Records Center for 62 years and then destroy. DESCRIPTION: These are the personnel files for all classified district employees that have been terminated by the district. They are used to document employment. The files usually contain the employment applications, authorization for hire forms, employee history card, pay and leave history, work performance and evaluation records, reassignment of personnel forms, termination forms and related correspondence. May also include fingerprint records and verification of a criminal background check. DESCRIPTION: Rolls of various sizes maintained by elementary, intermediate, and high schools to record student attendance. Include school year, school, teacher's name, names of students, entry date, exit date, days attending school, days absent, and sometimes grades. Beginning in 1993, secondary attendance records were uploaded to the district computer to provide school-wide records of attendance. Paper: For records beginning in 1910 through 1939. Retain in Office for 5 years and then transfer to State Archives with authority to weed. Paper: For records beginning in 1940 and continuing to the present. Retain in Office for 5 years and then destroy. Computer magnetic storage media: Retain in Office for 5 years and then erase. Computer data files: Retain in Office for 5 years and then delete. This disposition is based on the administrative needs of the district. The Alpine School District was created in l915. All rollbooks existing prior to the district's organization were for individual city school districts and will be retained for historical purposes. Since it has been determined inadequate transcripts exist for many students between 1915-1939, the rolls for this period need to be retained permanently. DESCRIPTION: These are the official transcripts, copies of achievement test scores, report cards and health records document student performance and are used for reference purposes. The transcript (Series 14800) is the permanent part of the student reocrd and includes student's name, address, birthdate, parents' names, lists of high school classes and grades, graduation date, test scores, class ranking, grade point average, and social security number. Paper: Retain in Office for 3 years after scheduled or graduation and trascript pulled and then destroy. DESCRIPTION: These student files are maintained to provide individual medical, family history, document attendance, gauge progress, and verify disability. In 1985, the Alpine School District began providing educational services to residents of the State Developmental Center. The Center provides educational services to severely mentally retarded and frequently emotionally handicapped children and adults who cannot be placed in group homes nor treated at home. All residents are placed at the Center by court order with half being wards of the State of Utah. Education is provided to students between the age of five and twenty-two for twenty-seven hours a week or two hours a week for homebound students. There are no grade levels and diplomas are not awarded. Classes are organized according to age and intellectual abilities. Certificates of completion are awarded. Goals are established for individual curriculum which are slightly above the student's level. The files include individual education program (IEP) forms, various testing results, behavior management charts, private data evaluations, and certificates. Paper: Retain in Office for 1 year after certificate awarded and then transfer to State Records Center. Retain in State Records Center for 4 years and then destroy. This disposition is based on discussions with the State Office of Education, Services for at Risk Students Division and provisions of the 34 CFR 99 (1992). DESCRIPTION: This monthly summary report authorizes payments for leave taken by contracted professional and classified personnel. It includes school, period covered, days absent, number of days, name of absent employee, reason for absence, name of substitute, signature and title. Paper: Retain in Office for 1 year and then transfer to State Records Center. Retain in State Records Center for 6 years and then destroy. Computer data files: Retain in Office for 1 year and then dump to computer output microfiche. Computer output microfiche master: Retain in Office for 7 years and then destroy. Computer output microfiche duplicate: Retain in Office for 7 years and then destroy. ARRANGEMENT: Chronological by month and thereunder alphabetical by surname. DESCRIPTION: Hourly terminations are created to identify when employees terminate employment. Information in them includes employees' names and Social Security numbers, job title, school or work unit, and date of termination. Paper: Retain in Office for 1 year and then transfer to State Records Center. Retain in State Records Center for 64 years and then destroy. DESCRIPTION: This is a report of all retirement benefits paid to Utah Retirement Systems. It includes the employee's name, Social Security number, and gross pay for the pay period indicated. It includes the dollar amount of the retirement benefit paid to URS by the school district on behalf of the employee. This includes both the defined benefit portion and the defined contribution portion. This report also lists any voluntary contributions made by the employee to their 401K and/or 457 and any re-deposits. This report is generated each payroll period and is transmitted to Utah Retirement Systems electronically. Paper: Retain in Office for 1 year and then transfer to State Records Center. Retain in State Records Center for 2 years and then destroy. The records in this series have temporary administrative and fiscal value and may be destroyed according to the approved retention schedule. DESCRIPTION: This report includes all voluntary and involuntary deductions that have been taken out of employee's paychecks. The voluntary deductions include insurance, retirement, charity organizations, professional dues, etc. The involuntary deductions include items such as garnishments, payroll docks, etc. This report is generated each payroll period. A copy of each deductions is included with a check from accounts payable and sent to the appropriate vendor. Paper: Retain in Office for 1 year after retirement and then transfer to State Records Center. Retain in State Records Center for 2 years and then destroy. Records in this series have temporary administrative and fiscal value and may be destroyed according to the approved retention schedule. DESCRIPTION: These are original records which verify hours worked (regular and overtime), leave earned (vacation, sick, emergency, conference/professional) and taken by school district employees. Recorded information includes employee name, Social Security number, department worked, hours worked, hourly wage, employee and supervisor, and signature. Records in this series are not duplicated elsewhere. Records in this series have long-term administrative and fiscal value to document employee service and eligibility for retirement benefits through Utah Retirement Systems (URS). Information in this series is not duplicated in the personnel files or any other series. Although time cards typically are kept for only 3 years, these records should be retained for 65 years according to the approved retention schedule for personnel records. DESCRIPTION: This register is a numerical listing by check number and agency codes of all payroll checks issued by the county. It includes code, date, warrant number, name of employee, social security number, types and amounts of individual deductions, and may include hourly rate, and number of hours worked. Though this register is frequently used to reference specific payroll checks, it might be the only record of employee salaries and would then serve the same retirement purpose as the Employee earnings history files. Records in this series have long-term administrative and fiscal value and may be destroyed according to the approved retention schedule. DESCRIPTION: Records in this series are created to invoice outside entities for monies owed to the school district. The district uses the records to ensure that the correct outside entity was billed for charges incurred, that funds were received and deposited into the correct account. Included are invoices with an itemized list of charges, date charges were incurred and the date charges are due. Records may also include computerized reports to back up billing. Paper: Retain in Office for 2 years and then transfer to State Records Center. Retain in State Records Center for 2 years and then destroy. Records in this series have short-term fiscal and administrative value. DESCRIPTION: These are receipts issued for money received into school district accounts from all sources. Recorded information includes date of payment, department, or fund to which money belongs, receipt number, and amount paid. These records are used to trace the origin of the funds deposited into district office account. These records contain check stubs, original invoice, and any other documents pertaining to the collection of funds. DESCRIPTION: The accounting department generates year-end reports as an evaluation tool to determine whether or not expenditures are in line with budget plans. Function reports break down the cost of district operations by function. Object reports identify expenditures by the type of supplies or instruction. Program reports compare year-to-date financial transactions to budgets or projected expenditure goals. These reports are used in conjunction with general ledgers (series 4183) to provide a more detailed picture of the district's financial condition. Paper: Retain in Office for 1 year and then transfer to State Records Center. Retain in State Records Center for 9 years and then destroy. ARRANGEMENT: Chronologically by year and thereunder alphabetically by surname. DESCRIPTION: These wage and tax statements are annual records on individual employee's gross earnings, federal taxes, state taxes, social security wages, and medicare wages. DESCRIPTION: This register is a numerical listing by check number and agency codes of all payroll checks issued by the county. It includes code, date, warrant number, name of employee, Social Security number, types and amounts of individual deductions, and may include hourly rate, and number of hours worked. DESCRIPTION: The mini-run proforma is a report kept by the payroll department which includes monthly payroll information for those not paid in the regular payroll and to correct mistakes made in the regular payroll. The report includes payment details for each recipient, such as social security number, name, marital status, exemptions, location code, check date, gross pay, deduction information, and net amount. DESCRIPTION: These are the personnel files for all active classified district employees. They are used to document employment. The files usually contain the employment applications, authorization for hire forms, employee history card, pay and leave history, work performance and evaluation records, reassignment of personnel forms, termination forms and related correspondence. May also include fingerprint records and verification of a criminal background check. Paper: Retain in Office until administrative value has been met and then transfer to State Records Center. Retain in State Records Center for 65 years and then destroy. DESCRIPTION: The tentative budget is prepared by the superintendent and filed with the school board prior to June 1. "Prior to June 22 of each year, each local school board shall adopt a budget and make appropriations for the next fiscal year" (Utah Code 53A-19-102 (1995). According to Utah Code 53A-19-101(1995), "the budget and its supporting documents are required to include: the revenues and expenditures of the current fiscal year, estimate of revenues for the succeeding fiscal based upon the lowest tax levy that will raise the required revenue, using the current year's taxable value as the basis for this calculation; and a detailed estimate of the essential expenditures for the purposes for the succeeding fiscal year." The school board is required to file a copy of the adopted budget with the state auditor and the State Board of Education. DESCRIPTION: These records support the agency's function to provide workers' compensation benefits for its employees (Utah Code 34A-2-201(2000)). These records document job-related injuries. Information may include Workers Compensation claim forms,first report of injury, investigative reports, medical records, and related attorney and court records. Paper: Retain in Office for 1 year or until case closed, whichever is longer and then transfer to State Records Center. Retain in State Records Center for 74 years and then destroy.